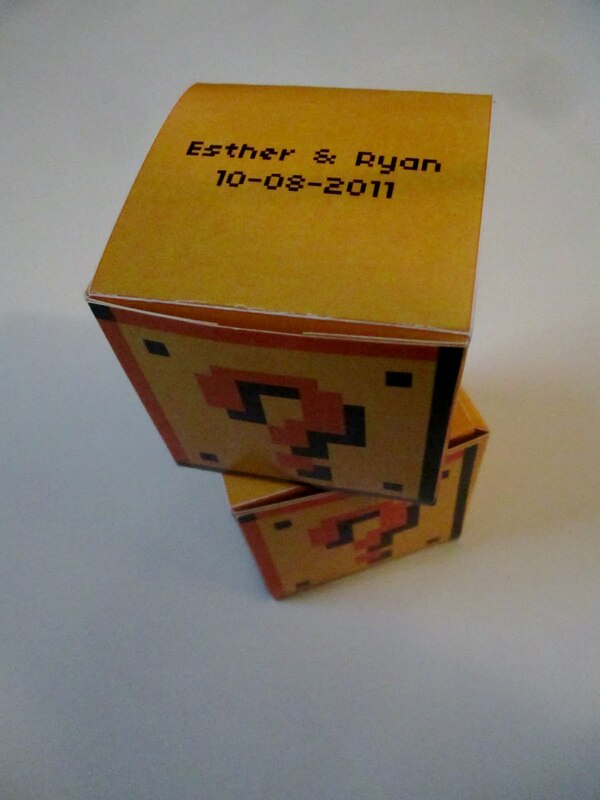 You'd need to have the heart of a Koopa not to love this 8-bit wedding kit. 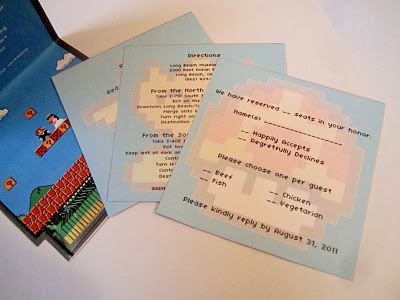 Anyone who's ever had a friend or relative getting hitched knows that the world of wedding invitations hasn't seen much innovation in the past hundred years. 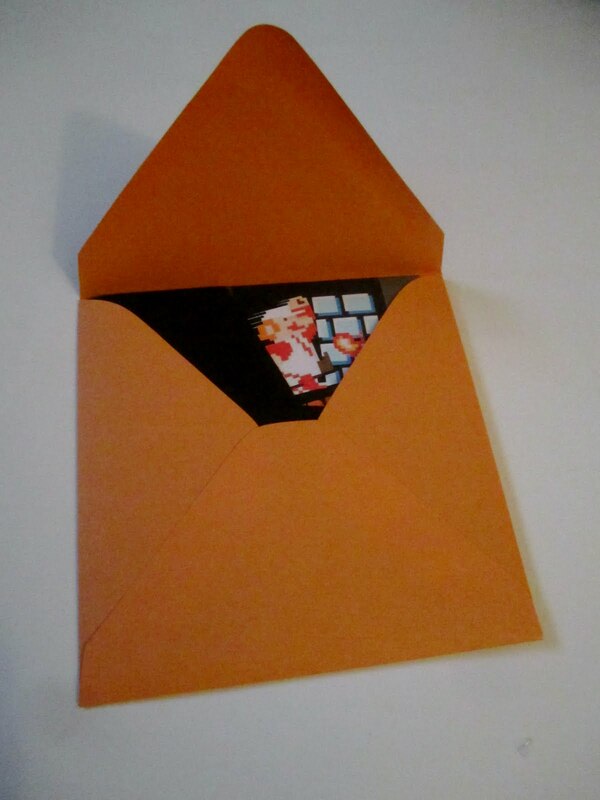 Most betrothed just grab a square of heavily weighted paper, border it with some swirly lines, and pack it into a fancy semi-transparent envelope with a tissue-paper rose stapled to its upper-right corner. 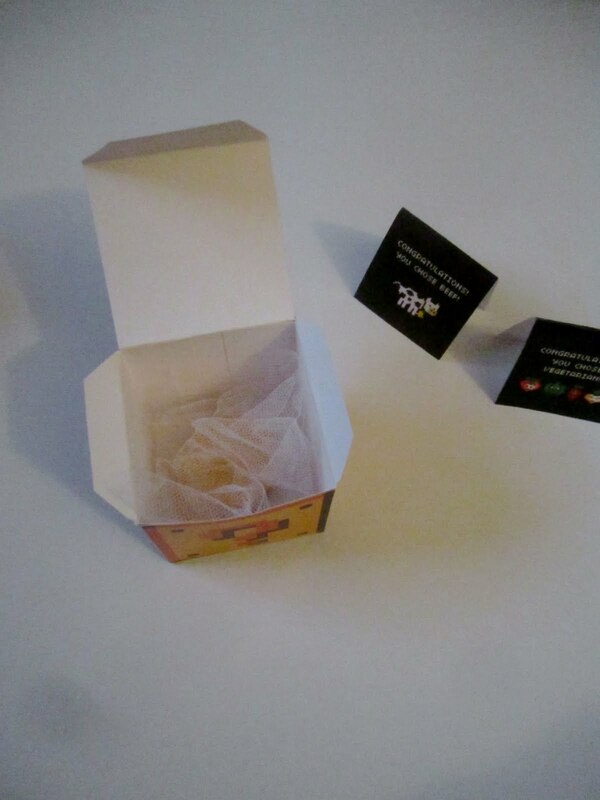 Well, conceptual artist Larry T. Quach isn't "most people." 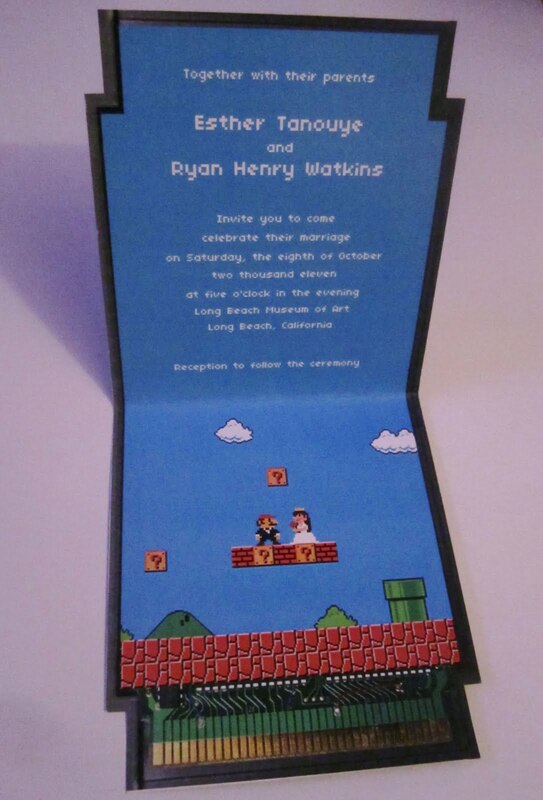 When asked to handle the invites for his friends Esther and Ryan's nuptials, he ended up making some of the coolest Mario-themed wedding invitations you've ever seen. 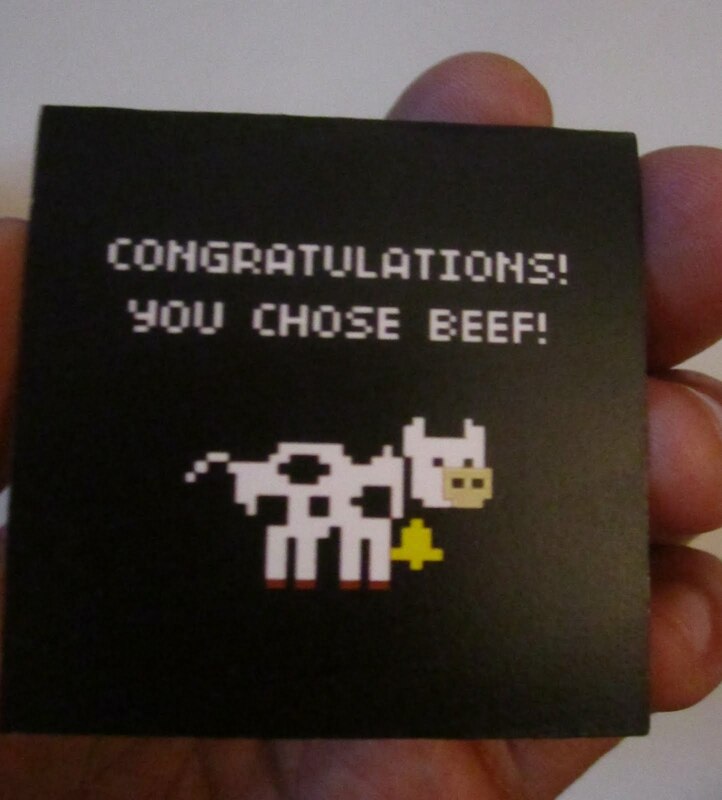 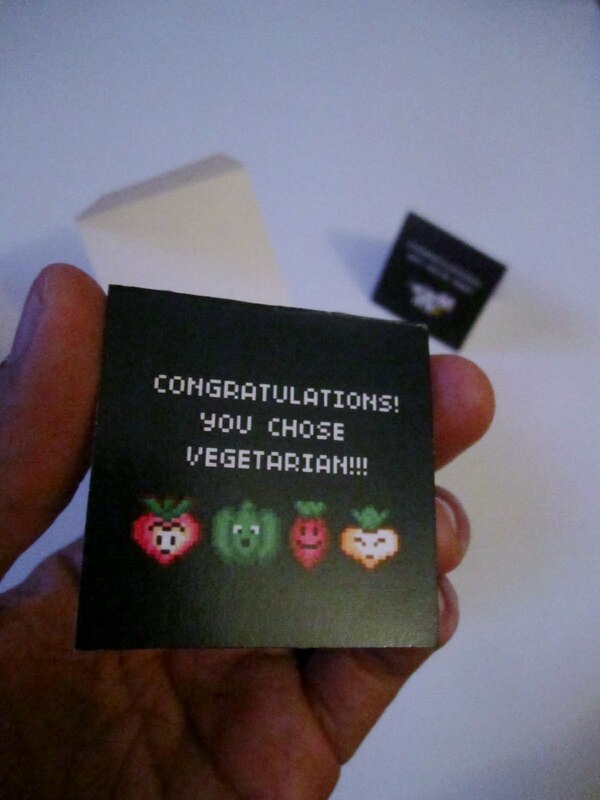 Larry could have stopped at his masterfully crafted 8-bit invites, but he didn't. 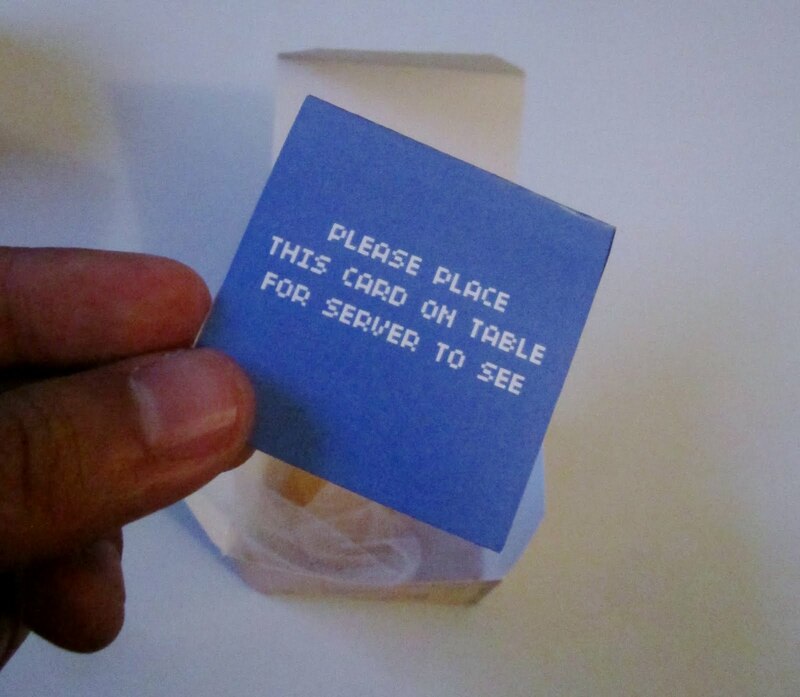 He went on to make similarly themed take-home gift boxes for the wedding's attendees that included thank you cards and miniature table tents to help the server know which dish the guests had chosen on their RSVP cards. 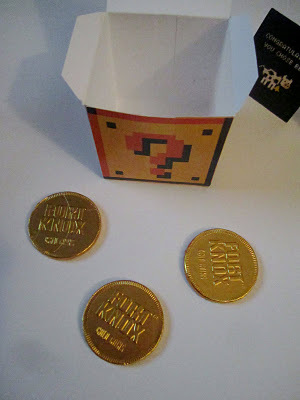 And, of course, as the boxes were covered in question marks, they were also filled with faux gold coins at the bottom. 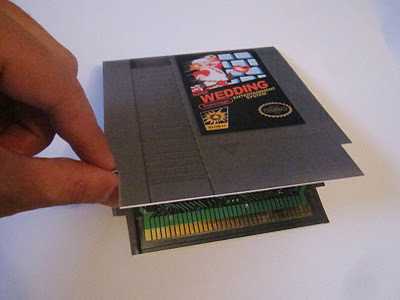 Hopefully at least one member of the wedding party head-butted his or hers open on camera before the night was over. 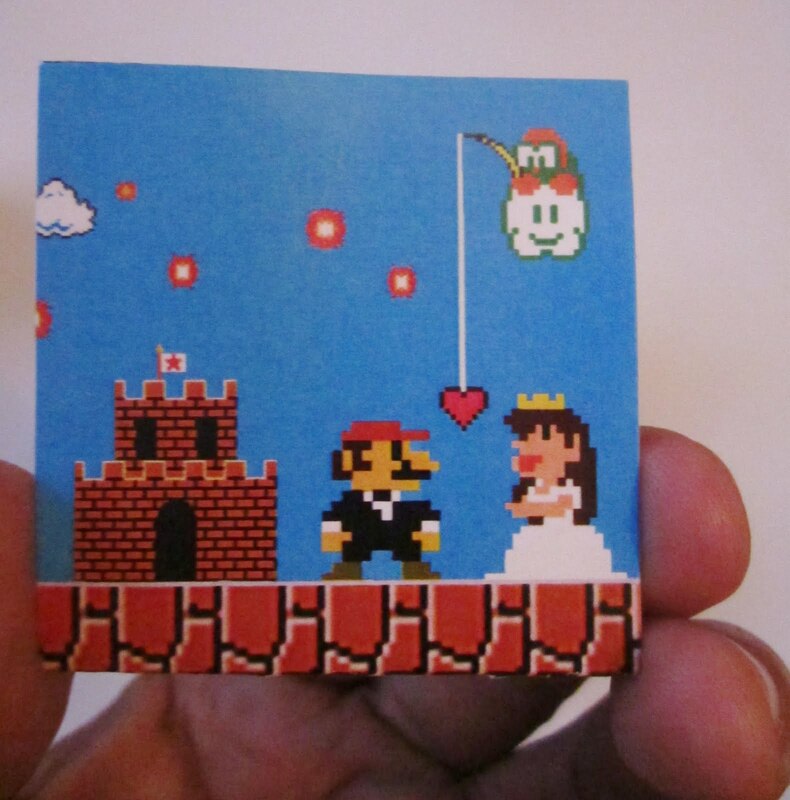 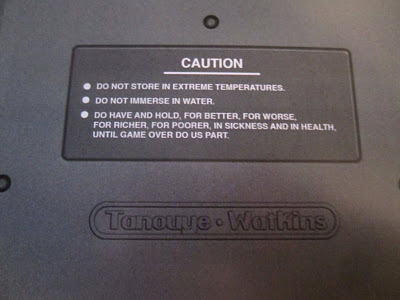 Every component of Larry's accomplishment is beautifully detailed with just the right mix of Mario trappings and in-jokes specially crafted for the couple being wed (even the cartridge art was altered to cleverly include their last names and soon-to-be anniversary date). 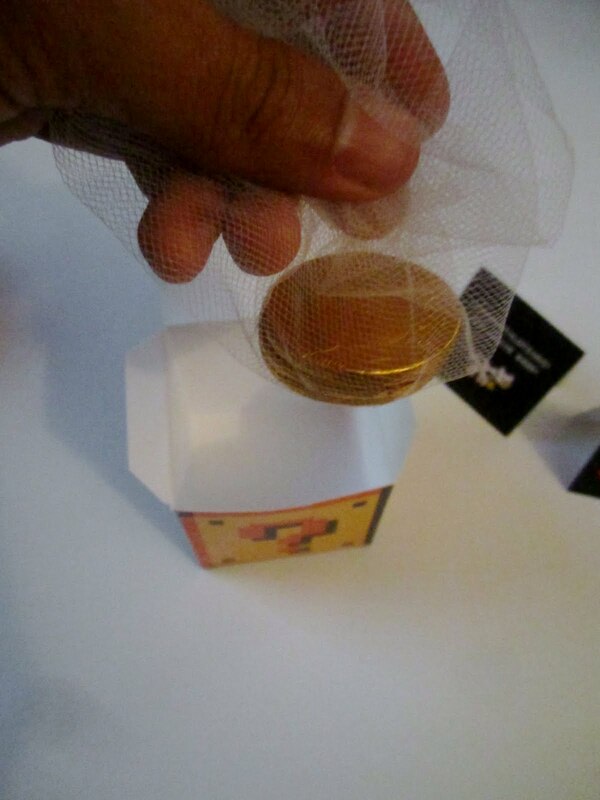 If you read Larry's blog it seems like he was under a considerable time crunch to finish, and if that's truly the case, it makes his attention to detail all the more impressive. 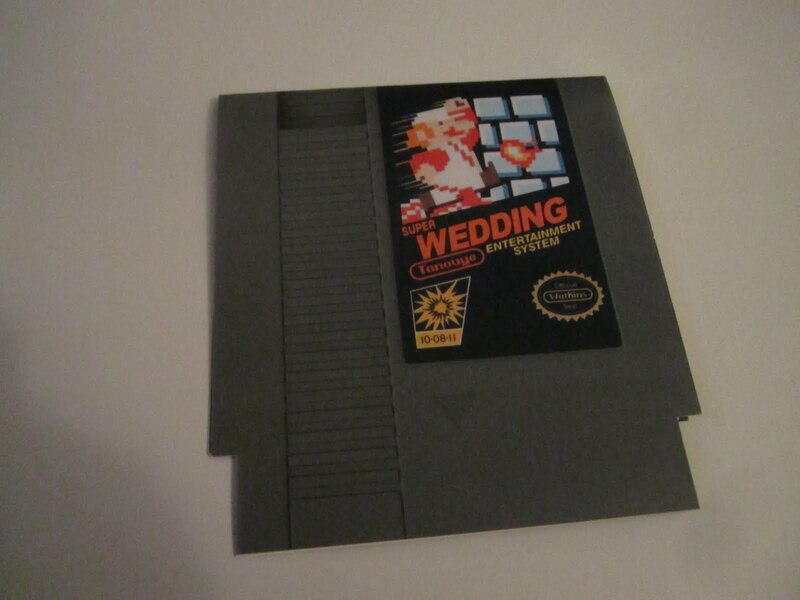 From the one picture Larry posted of the actual ceremony, it looks like the bride and groom didn't over overboard by wearing a pink poufy dress and red "M" cap to the altar. 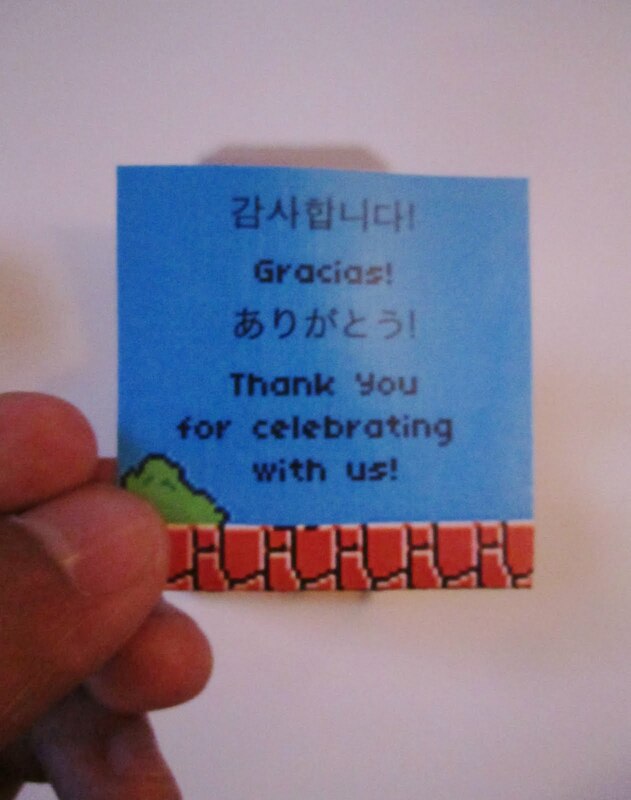 I would imagine it takes a decent amount of class and self-control to completely nerdify your wedding's accoutrements without sacrificing the import and beauty of such an important day. 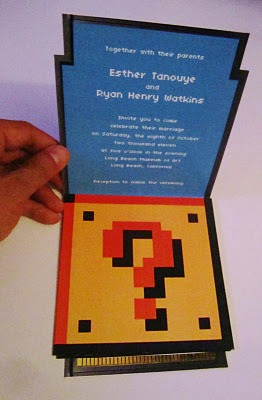 So, way to go Esther and Ryan; may you stay together 'till game over do you part. 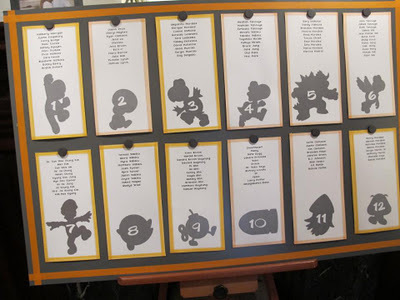 You can see the rest of Larry's work and read some about his process on his blog.